The Champakulam boat race festival, the biggest and most popular water sport in the Alappuzha district of Kerala, will be held on July 11 this year. One of the most awaited Kerala events, this water festival fetches NRIs and foreigners from USA to India. If you are flying to India with a travel wishlist including a visit to the Champakulam boat race festival of Kerala, we have an amazing culinary tip to share with you. It is the list of traditional delicacies to be relished in Kerala, the land of spices. Keralites are true-blue gourmets with a unique food culture. The Kerala cuisine is hot, spicy and aromatic. Coconut milk is a common ingredient in most veg and non-veg recipes. We wish you to add the taste of Kerala to your wishlist. Appam, soft pancake, is a traditional breakfast to start your mornings with in Kerala. Appam is soft and spongy in the middle. It is made from boiled rice fermented in coconut water or yeast. Both sugar and salt are mixed with the rice batter to enrich the taste. Appam is thick in the center but thin on the edge. 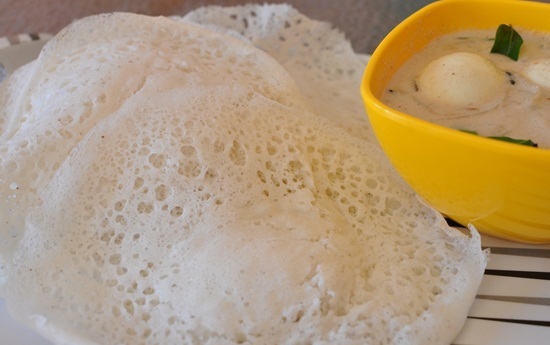 A plate of Appam is relished with vegetable or chicken or mutton stews. It makes a healthy breakfast for both the vegans and the non-vegans. 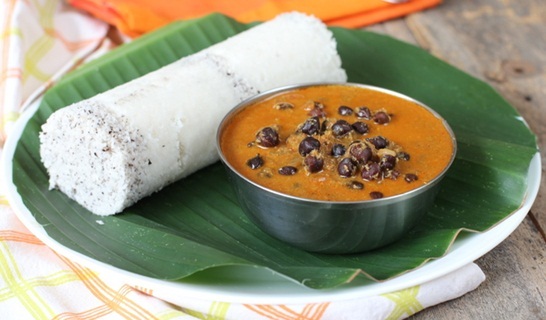 Puttu Kadala is another breakfast item from the traditional cuisine of Kerala. Puttu is sort of steam cake made from rice powder. It was steamed using long hollow bamboos. These days, metal cylinders are used instead of bamboos. If consumed with steamed bananas, Puttu feels light on the stomach. It can be had with spicy chickpea curry, Kadala, for a rich taste. Tourists can treat their taste buds to beef Puttu, chicken Puttu and prawn Puttu. Kadala curry is flavored with coconut gravy. If you are looking to indulge in a snacky affair during Kerala travel, do have a plateful of Pazhampori with smoking hot tea in the evening. 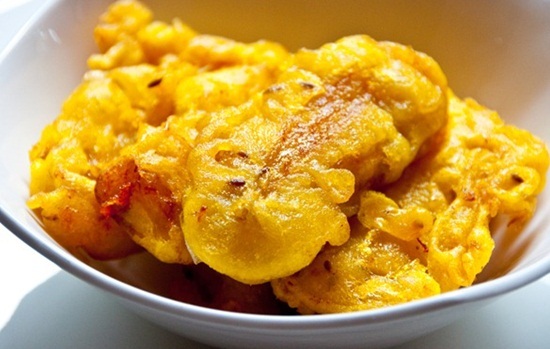 One of the most delicious snacks that the Kerala cuisine boasts of, Pazhampori is made of banana fritters wrapped in the batter of refined flour and deep fried in oil. Available at most tea stalls in the evening; it is a succulent bait for the tongue. Idyappam is the best culinary joy of Kerala travel for string hoppers. 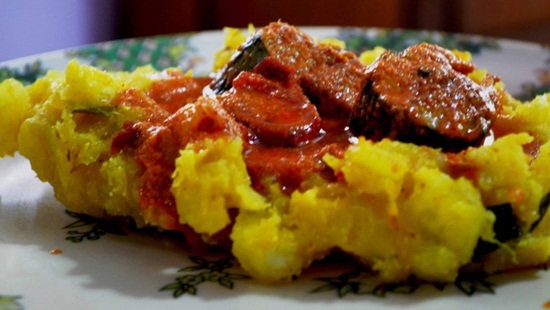 It is popular by such local names as noolappam or noolputtu in some regions of the state. The noodle is made of rice flour or wheat flour. It is steamed in water vapor or boiled in salty water. The steamed or boiled noodle is served with a bowl of egg curry or fish curry or chicken curry or potato curry and some coconut chutney. 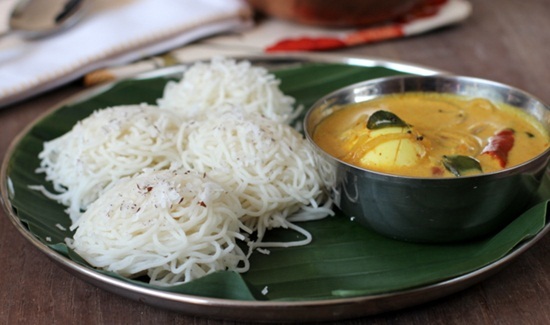 The people of Malabar region savor Idyappam with sweetened coconut milk. Malabar is the culinary hub in Kerala where foot tourism is thriving on the popularity of delicacies like Pathiri. The tongue-teasing taste of Pathiri is worth a visit to Malabar. 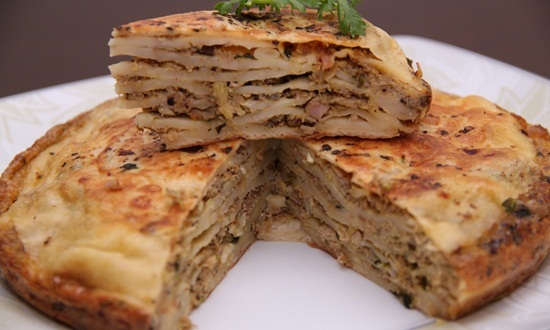 Pathiri is a thin roti consisting of a few layers stuffed with spiced mutton. It is a must indulgence to make your Kerala travel an unforgettable culinary experience if you are a foodie. 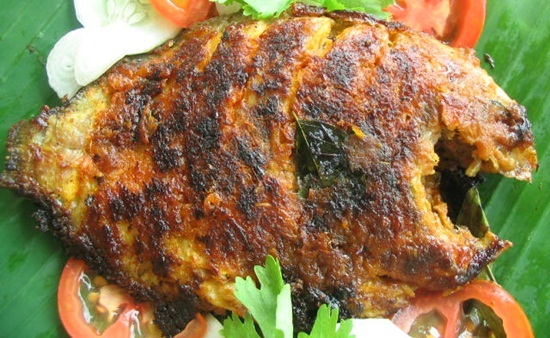 Karimeen Pollichathu is a fish delight that Keralites are fond of. Found in the backwaters of Kerala, Karimeen is popular seafood which is smeared with a mix of spices and pan fried in banana leaf. Coconut paste is smeared all over the fish before wrapping it in a banana leaf. Pollichathu refers to this typical cooking process. The flavor of Karimeen Pollichathu is as rich as the cuisine of Kerala. Kappa meen curry is a culinary euphoria of Kerala. There is not a single Malayalee who does not go gaga over this delicacy. Steamed or cooked tapioca, Kappa is a good source of carbs and energy. Kappa when consumed with a bowl of fish curry pleases not only taste buds but also senses. The method of cooking the fish curry in a mud pot is unique to the culinary culture of Kerala. If you have ever been to Kerala and got a mouthful of the local cuisine, you are always welcome to share your experience or story with us. Indian Eagle wishes you a wonderful trip to Kerala. Click Why Visit Kerala to explore more about God’s Own Country and learn interesting things about Champakulam boat race festival. Indian Eagle is a USA based leading international travel organization inspiring tourists to travel India and booking their trips at the best prices. Indian Eagle celebrates the cultural richness, historic glory, natural beauty, and spiritual greatness of India through interesting stories on its digital magazine, Travel Beats. Check our itineraries and deals for cheap flights to Kochi and cheap air tickets to Trivandrum.